Most companies tend to spend the bulk of their marketing dollars trying to snag the millennial shopper. This really isn’t that surprising, however, since the millennial age group totals more than 70 million potential shoppers, and they have the most buying power at the moment. Yet, as Generation Z members come of age, it is a good idea to have a marketing strategy in the works for this new group. People born in the second half of the 1990s through the late 2000s have been classified as Generation Z, and the oldest members of this group are just starting to graduate from college. By the year 2020, they will make up a quarter of the consumers out there on the market. 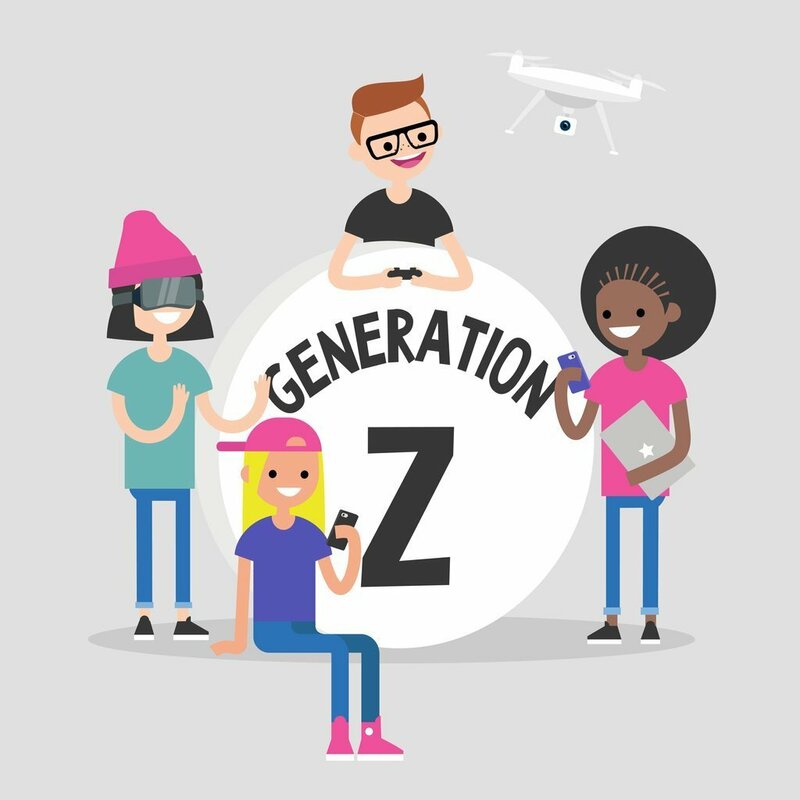 With members in their teens and early twenties, Generation Z is already spending over $40 billion per year, and those numbers are only going to rise as they move into the corporate world. Plus, many gen Z members are already influencing what their parents are buying. As a business owner, you will likely want to start thinking about how you can snag those gen Z dollars now instead of waiting to catch up later. Before you can understand how to market to this age group, you need to understand who they are. Generation Z has grown up with technology, and they depend upon it to help them make their purchasing decisions. They are truly children of the digital age, and on average, they are spending more than 10 hours per day online. As a business, it is imperative that you understand how to reach out to these potential consumers in the online space. Digital media channels and e-commerce shops are going to be some of the main ways to attract gen Z buyers. In recent surveys, it has shown that this generation gets 85% of their knowledge of new products from social media, and 68% of them use email as a means of purchasing decision making. It should go without saying at this point that your social media game needs to be strong. However, gen Z wants more than just an add on their Instagram feed. They want a personalized experience. As a brand, you are going to need to find a way to customize your message. One way to do this is to target your social media campaigns by platform. For instance, use Instagram to be aspirational, use Twitter for quick bits or news, and Snapchat for real behind the scenes peeks. On all platforms, you need to create a message that resonates, though, to reach your intended audience and marketing goals. Generation Z has grown up in this ever-changing digital world. They can process information quickly, and they like it that way. They want posts that are simple and short, getting straight to the point. Brands and business owners will need to learn to create blurbs that are engaging, brief, and keep to the key points. They look for spokespeople that are like them instead of flashy models or stars. Smart brands will develop relationships with social media influencers if they want to gain recognition with the Generation Z audience. If you want help tailoring your social media strategy to the younger audiences, let SOAP Media assist you. Contact us today to discuss your social media and other marketing needs.